Consider our Christmas Griddlers – Journey to Santa walkthrough the first of many stocking stuffers this holiday season. 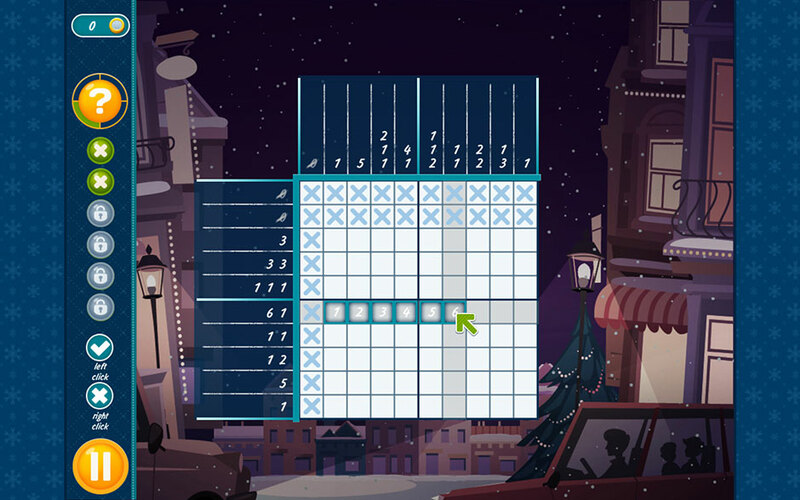 Christmas Griddlers – Journey to Santa features over 100 holiday-themed Christmas puzzles to exercise your brain. You may be stuffed with festive food, but that’s no excuse! Our guide offers useful tips and tricks to help get your mind back into the swing of things. Our walkthrough divides the gameplay of Christmas Griddlers – Journey to Santa into two easy-to-understand sections. Whether you’re new and looking to understand the gameplay, or advanced and simply need a couple tips or tricks, our guide won’t leave you out in the cold. The goal of Christmas Griddlers – Journey to Santa is to solve each puzzle and level by filling in the boxes according to the numbers provided. 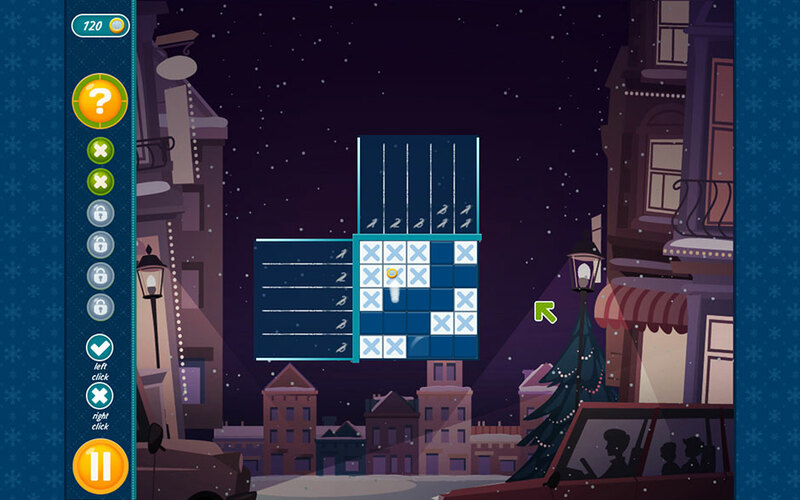 Once all the correct boxes in the grid are filled in, you will be able to proceed in the next puzzle. Horizontal lines are called rows. Vertical lines are called columns. Use the numbers listed on the sides of the grid to figure out which boxes should be filled. The numbers provide vital clues, telling you how many squares should be filled in reach row and column. Numbers on the sides of the grid will be crossed off once the corresponding groups of squares have been correctly filled in. Left click on a square to fill it in. Right click on a square to cross it out. To cancel an action, hold the left or right click (depending on which you were using), then click with the opposite button while still holding the first (left or right, again, depending on which you were using). Release both buttons simultaneously to cancel the action without penalty. Click on the “?” button to use a Hint. Hints will help you by indicating which squares should be filled in. Earn stars upon completing levels. You may earn 1, 2, or 3 stars depending on how many mistakes you made when solving the puzzle. You need at least 1 star to unlock the next level. Use stars earned to unlock new locations! You can only make a certain number of mistakes per level before you’ll have to start over. Each mistake removes 1 star from your score. Make two or more mistakes, and your overall score will be 1 star. 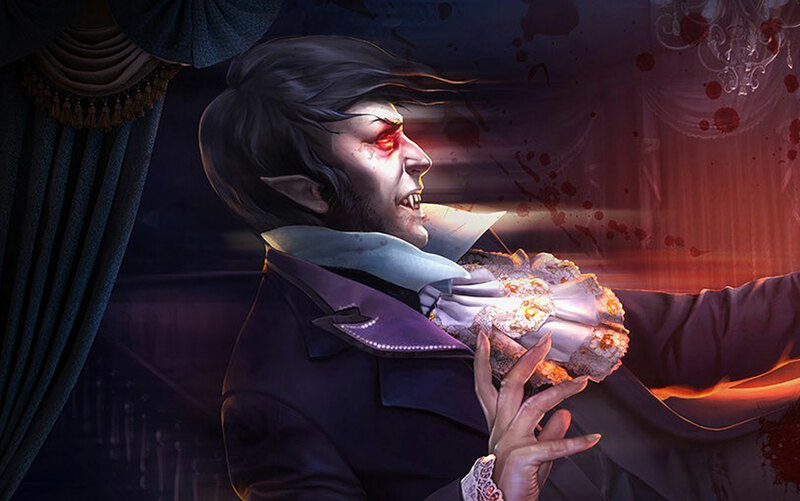 Various trophies are also available and will give you bonus rewards! Can you unlock them all? 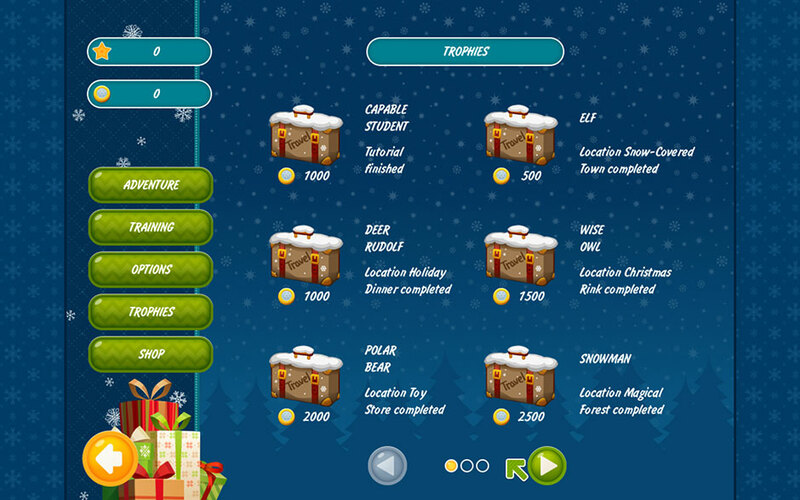 The following section is dedicated to teaching you tips and tricks to advance in Christmas Griddlers – Journey to Santa. But no matter if you’re new or a veteran of this puzzle game, always keep one golden rule in mind: Only fill in squares when you’re sure you know the correct solution! Click and hold to highlight multiple tiles at once. If the grid is 5 squares across, and one of the rows listed has a “5”, you can fill in all the numbers for that row. If the grid has a 0 listed in any row, you can cross off all the boxes in that row. If the grid is 5 squares across and the numbers shown are “3” and “1”, there is only one possible solution, since the numbers add up to 5: fill in the first 3 squares, cross off the 4th, and fill in the fifth. Rows are read from left to right. Columns are read from top to bottom. Don’t forget you will need to leave a minimum of one empty (aka crossed-out) square between groups of squares or numbers! If you’ve solved for all the numbers in a row or column, but there are still empty squares in that row or column, cross them out! This can help you visualize solutions easier. Count three connected squares from the left edge of the row. Count three connected squares from the right side of the row. You’ll notice that no matter which way we count, the 3rd or middle square is always shared between them and part of the group. So, fill in the middle square. When you use this strategy, you will be able to solve rows or columns with several numbers. Sometimes just filling in this shared number is enough to give you the solution to another row or column! You can unlock locations using coins if you don’t have enough stars. 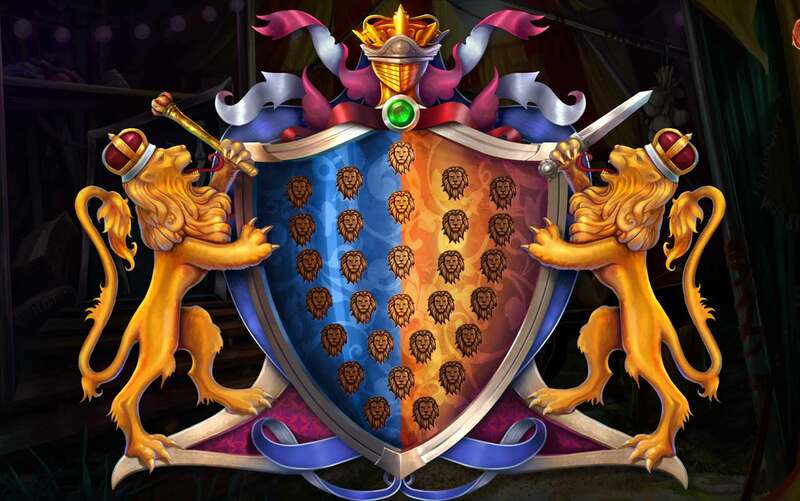 Congratulations, you’ve completed the Christmas Griddlers – Journey to Santa Walkthrough! Be sure to check our blog for more great tips and tricks! The Christmas Griddlers – Journey to Santa walkthrough is meant to guide you through the game’s basics, and does not include serials, hacks, or cheats.